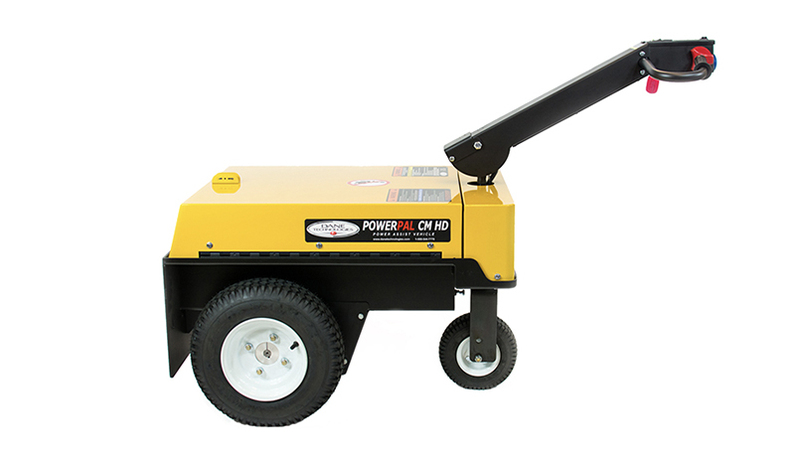 The PowerPal Cart Mover is a universal tug–designed to move anything on wheels in both commercial and industrial settings. 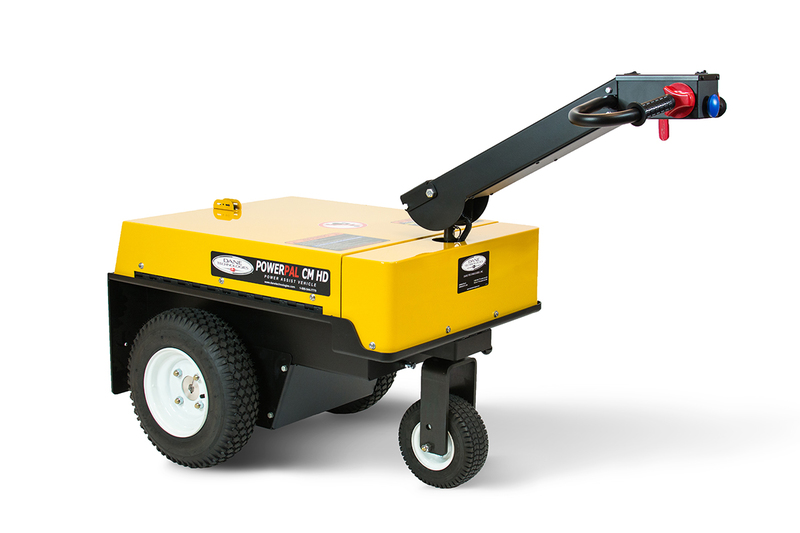 Compact, highly maneuverable, with up to a 20,000 lb capacity, the PowerPal CM tugger can be used almost anywhere to eliminate safety risks and logistics challenges. 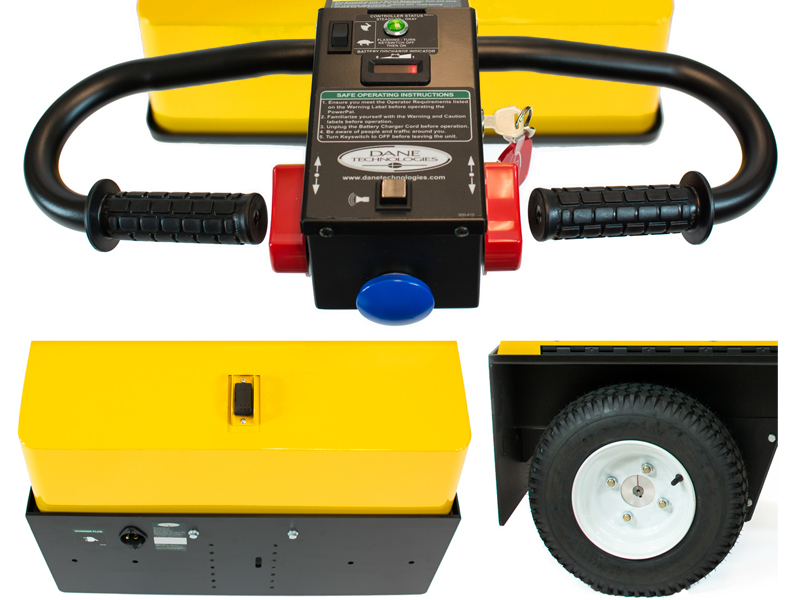 The PowerPal Cart Mover is ideal for moving large wheeled loads such as sub-assemblies, tow trailers, roll cages, CC carts, machine components, or any wheeled cart without risk of strain or injury. 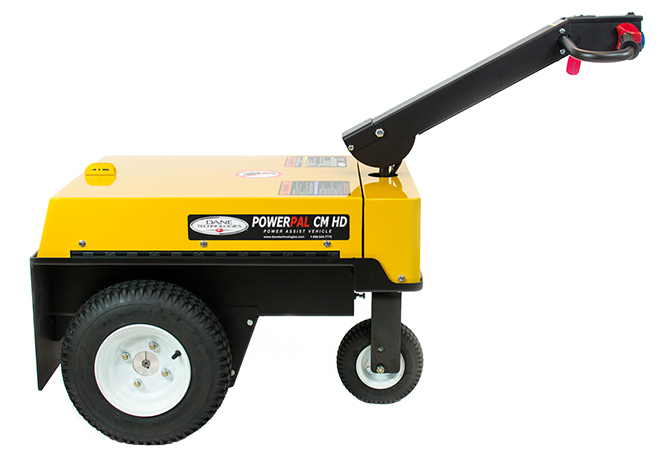 Compact design, tiller steering and wide range of hitch options make the PowerPal Cart Mover the most flexible power pusher on the market. 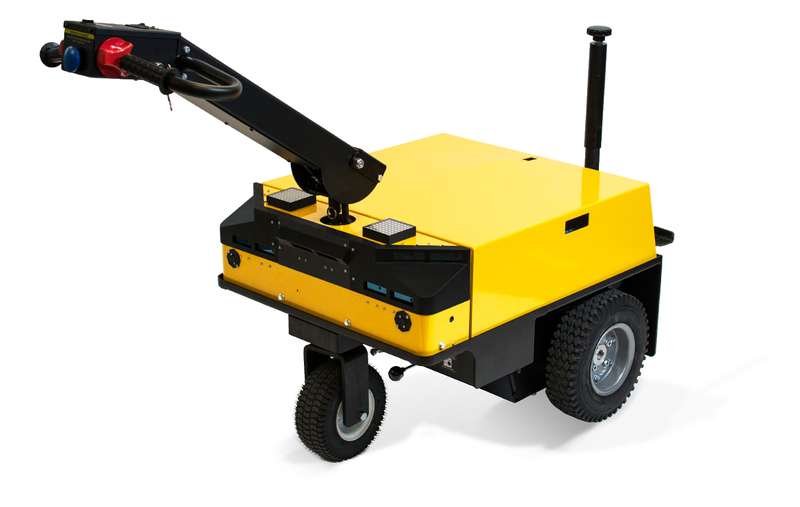 Implement an automated workforce of self-learning, high capacity, adaptive towing vehicles for a fraction of the cost of other robotic or AGV solutions with camera-based, vision guided mapping. No need for complex systems or additional infrastructure—the PowerPal Co-Pilot starts work immediately, optimizing any environment where transport logistics are a part of the workflow. 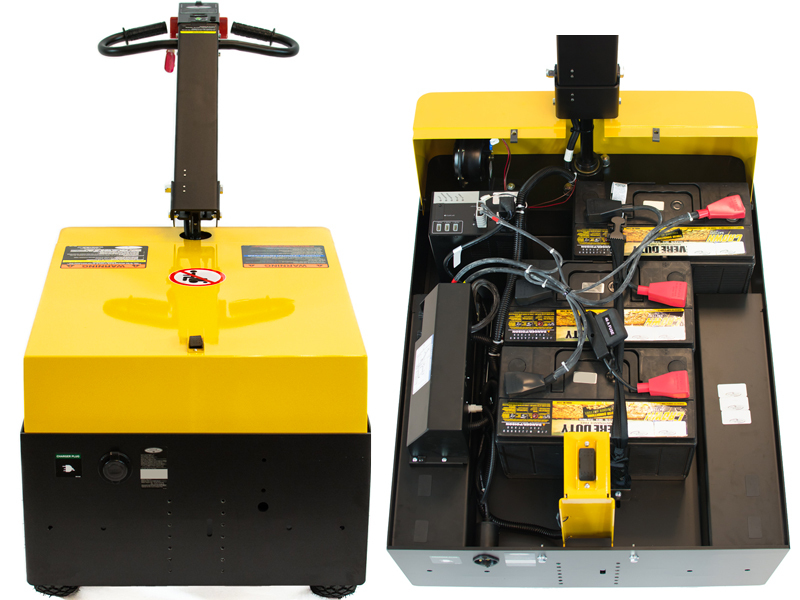 The PowerPal CM is designed for almost any environment–whether you need to move a subassembly on a manufacturing floor, medical equipment in a hospital, or create an autonomous logistic system in your warehouse–the PowerPal CM series is designed to integrate seamlessly into any environment. Implement self-guided technology into your business with the camera-based Co-Pilot guidance system. Vision guided vehicle (VGV) technology eliminates virtually all the set up costs associated with traditional SGV systems. 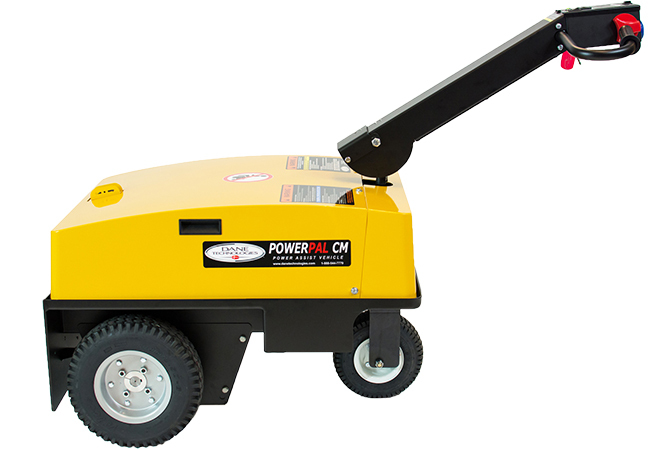 The PowerPal CM is a versatile and powerful tug built to reduce the risk of material handling in industrial environments. Intuitive controls, advanced safety features, & quiet operation make the PowerPal CM a flexible solution that can be used indoors, in professional environments, or alongside patients, pedestrians, and customers. 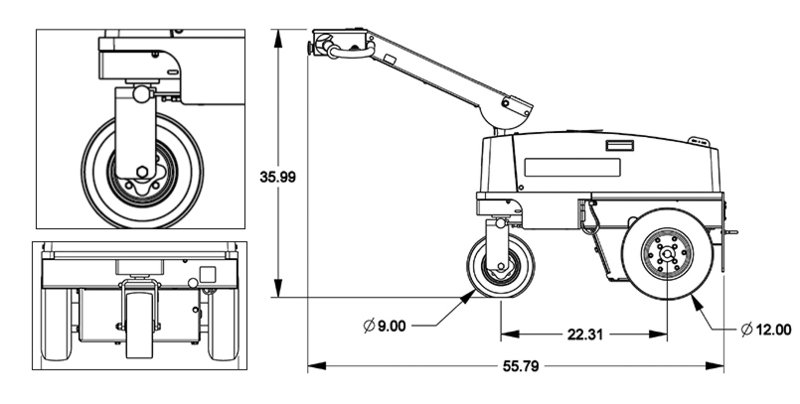 The standard model of the PowerPal Cart Mover is built to handle all logistics & material handling challenges safely and easily. Featuring ergonomic tiller steering, with optional dual-mode, & a range of hitching options to accommodate almost any wheeled load. 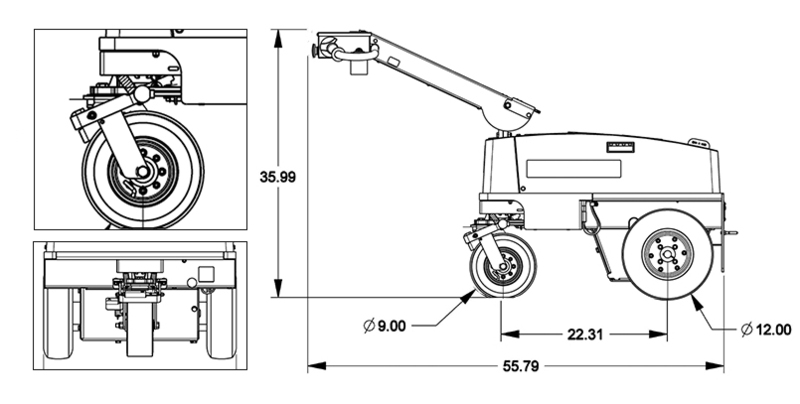 The PowerPaL HD is the high capacity Cart Mover designed with heavy duty upgrades to handle larger loads, while still featuring the same maneuverability & ergonomic design as the standard CM. 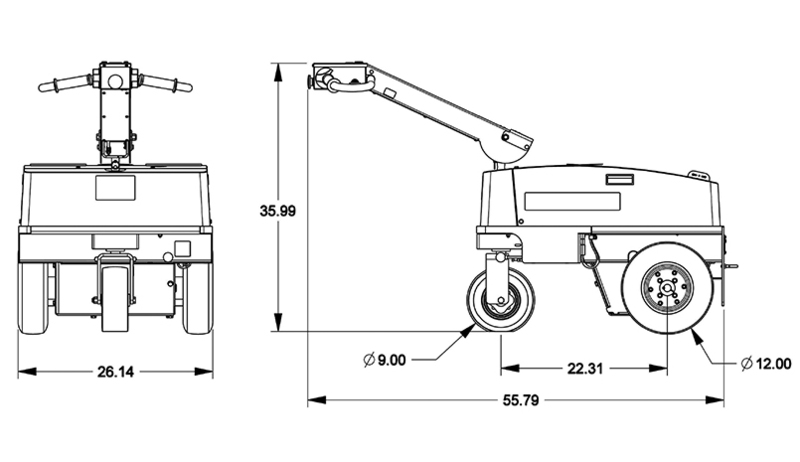 Standard steering configuration of the PowerPal CM & CM HD, the operator steers the unit by turning the tiller, guiding the PowerPal in any direction in forward and reverse. Dual mode steering option lets the operator choose between a steerable and fixed tiller. When in locked tiller mode the steering tiller is locked on centerline, and the operator is able to turn the whole machine, while the tiller wheel casters as needed. This feature gives the operator an extra degree of control while towing–especially in reverse. Multiple Hitch Attachments Allows for different configurations of use, load size, & trailer size Attachments accommodate almost any wheeled load for power assisted moving of trailers, carts, trolleys, & roll cages.